All aboard! What a fun little favor for a nautical themed event. 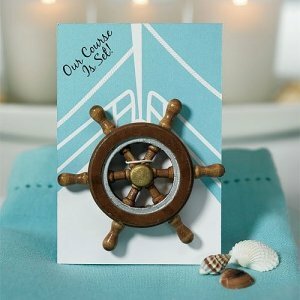 Each boat wheel magnet favor is presented on a self-standing gift card that reads 'Our Course is Set'. 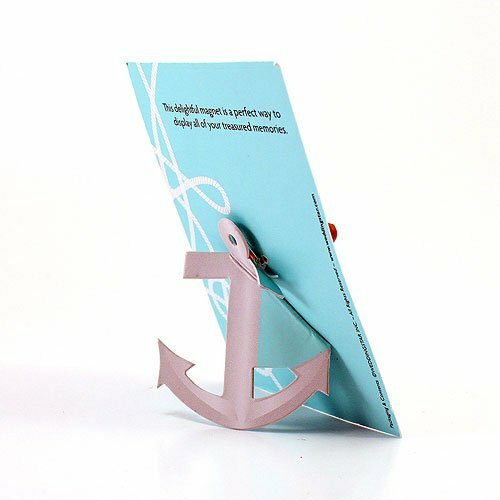 A clever way to promote a nautical event, complement a boat theme party or announce an upcoming destination wedding. Light and/or dark colored wheel may be included, depending on availability. Hello! 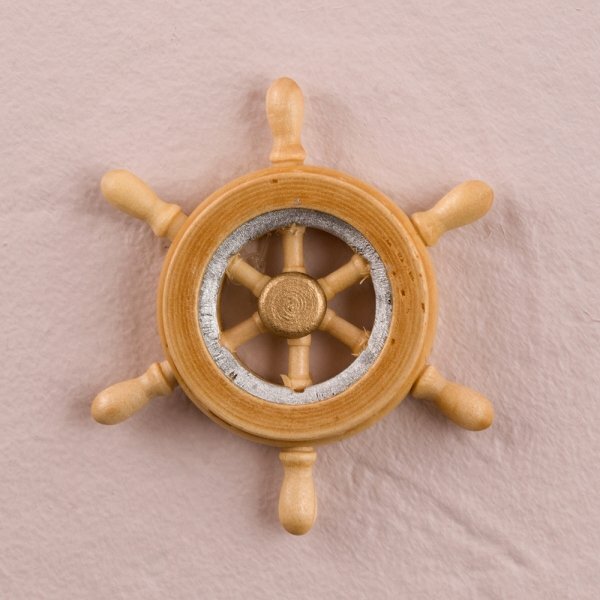 Is personalization available on the Boat Wheel Our Course is Set magnet? I've seen other places offer this with a sticker containing names and the date? Do you offer that? Thanks! I'm sorry there's no personalization available for this Boat Wheel 'Our Course is Set' Magnet Favor (Set of 6) but we sell personalized stickers separately here. Hello, do you know if the boat wheel magnet comes in the dark or light shade? I'm slightly confused by the pictures and description. 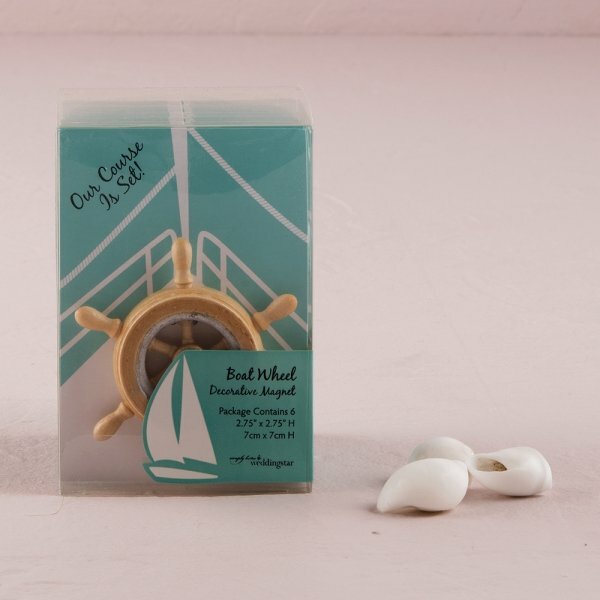 There are 2 available colors of this Boat Wheel 'Our Course is Set' Magnet Favor. You can chose either colored wheel, depending on the availability. 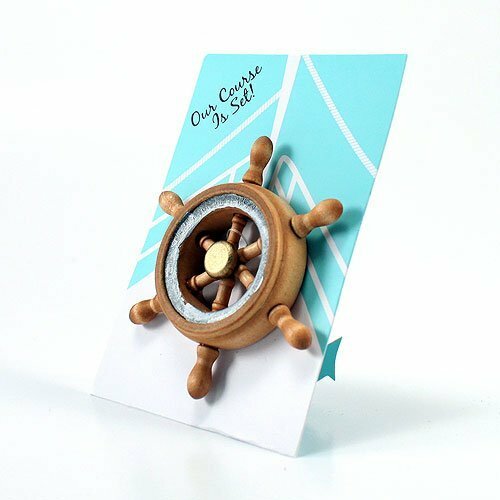 It's sold in sets of 6 with a minimum order of 2 sets and each boat wheel magnet includes the presentation card with easel back.